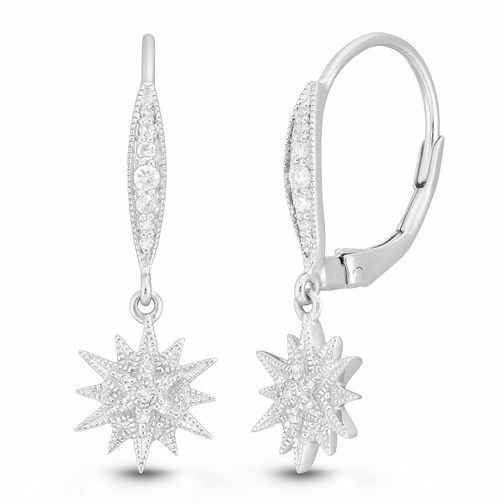 This pair of dazzling drop earrings are created by Neil Lane with vintage fashion in mind. A chic marquise bar is set with round shimmering diamonds, presenting a spotlight stealing two-tier star charm, shining from head to toe. A shimmering and sophisticated pair of drop earrings, perfect as a stylish statement for your eveningwear.